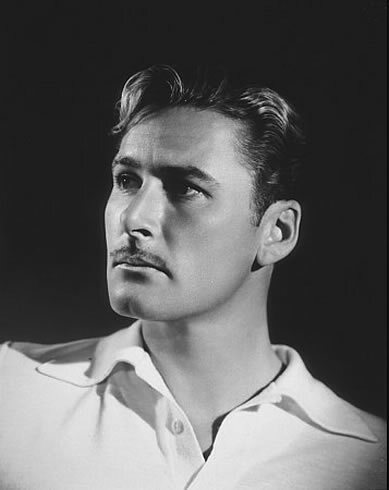 This entry shall be on the Tasmanian Devil himself, Errol Flynn. 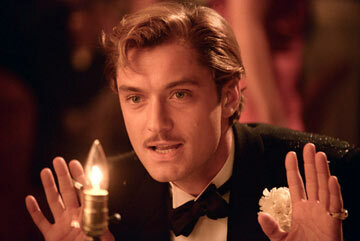 Dashing, daring, romantic. Who could display Flynn's iconic traits? Oh, as if you haven't seen any of the Pirates of the Caribbean movies. That alone is proof that Bloom can play a swashbuckler, one of Flynn's repertoire. And the Lord of the Rings movies show that Bloom is handy with a bow and arrow like Flynn in The Adventures of Robin Hood (and can rock a pair of tights). 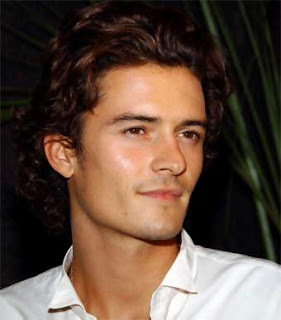 All right, so I'm cheating since Law already played Flynn in The Aviator (where this picture is from). But he was only in one scene. I want to see what he would've done with a more expanded part. Again, I can't think of anything. Three words: The Princess Bride. 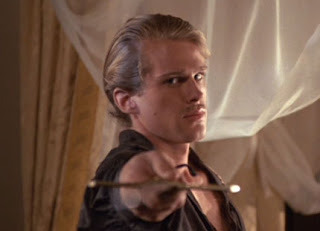 Seriously, how can you not think of Westley when doing comparisons to Flynn? AND Elwes played Robin Hood! That's gotta count for something, right? Elwes is a tad past his prime. Maybe cast him as Flynn in his later years? I know that #2 will get an eager response from a certain someone, as with #1. But who do think could play Errol Flynn? Oh I vote Orlando! For sure! But as the person you refer to as being excited for your #1 candidate, of course you already knew this! All the reasons you give are great, but pair that with the fact that when you look at the Flynn picture and the Bloom picture right next to each other... SO similar! Also, Orlando is so beautiful and romantic. AND his baby boy is named Flynn. IT'S FATE. Well if we're going by looks only, Orlando is the way to go. But I'd vote for Jude Law. Btw, Timothy Dalton's role in The Rocketeer was based on Mr. Flynn. oh, Jude Law, definitely. I feel that Bloom lacks a certain carnality, and I agree that Elwes is a little past his Flynn stage. Meanwhile, Jude Law was amazing in his brief screentime, and he deserves more. *We* deserve more.